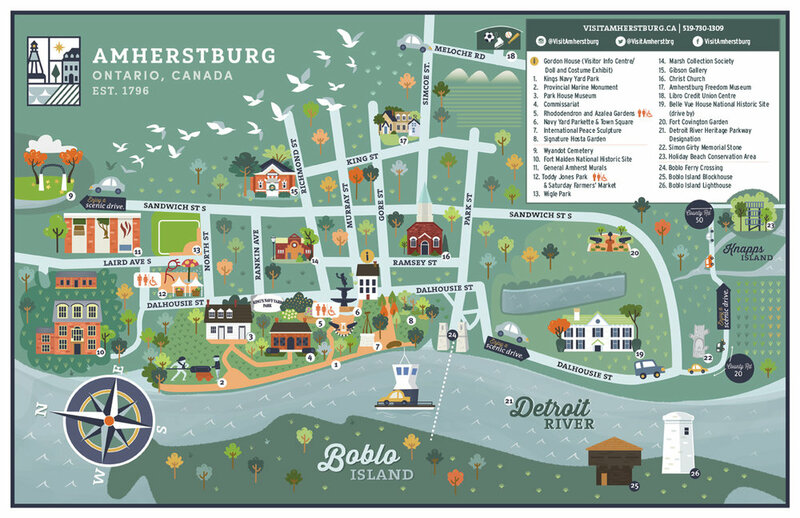 I was commissioned to do a tourist walking and driving map for the historic town of Amherstburg Ontario. The map was built to work with their new branding and colours. Published 2019.